Many voters in Argentina showed no interest in tangoing again with their former president. Cristina Fernandez de Kirchner, a staunchly populist leader, narrowly lost a primary vote on Sunday for a senate seat. Investors cheered Kirchner's loss. Argentina's peso rallied 3.2% Monday morning, its best gain of the year. Its stock market, the MERVAL, gained 3.6% after opening, one of its best rallies of the year. 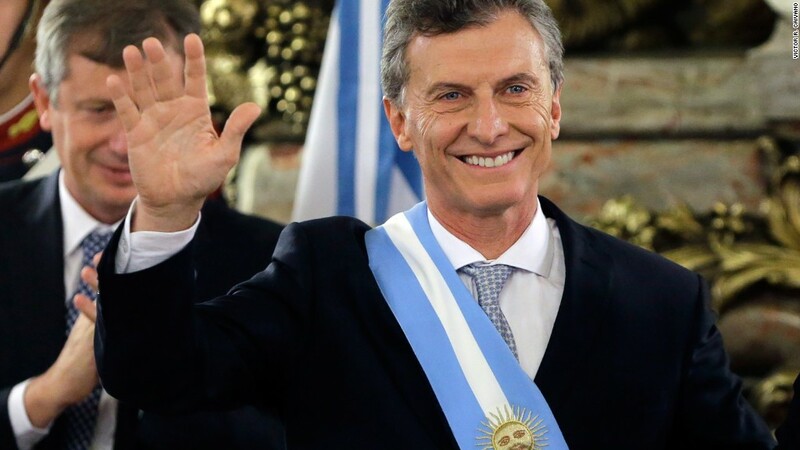 Argentina's current president, Mauricio Macri, is a pro-business, pro-trade leader. He's been trying to do a 180-degree pivot away from Kirchner's policies and revive Argentina's battered economy. Some economists hold up Kirchner's protectionist trade policies as a cautionary tale for Americans if President Trump chooses to put tariffs on imports. Kirchner's policies once made Argentina the most expensive place to buy an iPhone. The candidate from Macri's party facing off against Kirchner, Esteban Bullrich, won 34.2% of the vote. Kirchner was a hair under at 34.1%. Still, the results are far better than Macri's team -- or investors -- envisioned. Many believed Kirchner's popularity in the province of Buenos Aires, an area she once dominated, would lead her to victory. Leading up to the vote, politics -- not economics or earnings -- dictated the peso and MERVAL's fate as many feared Kirchner's return. The main concern is that she would use her political influence in Congress to derail Macri's agenda of tax, trade and labor reform. Kirchner and her late husband, President Nestor Kirchner, shuttered much of Argentina's economy to foreign trade and commerce during their 12-year rule. Recession, soaring inflation and a spiraling currency riddled South America's second largest nation during Ms. Kirchner's final years in office. Kirchner faces multiple federal investigations into her presidency, including charges that she laundered money and manipulated central bank contracts. She denies all accusations. Macri took office in December 2015 and has sought to open up Argentina to more foreign trade. So far this year, inflation is coming down sharply, the economy exited a recession and Macri resolved a trade dispute with the United States. The final vote for the mid-term elections is October 22. Although Kirchner lost Sunday's vote, she can still win a seat in October. In Argentina's Buenos Aires province, the party of the first-place finisher wins two seats and the second-place finisher gets one. However, many believe Kirchner's influence in Congress would be diluted if she finishes in second in a congressional race after being president less than two years ago.